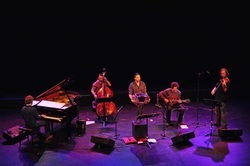 Santiago Cimadevilla has a vast experience performing as a soloist with orchestras. 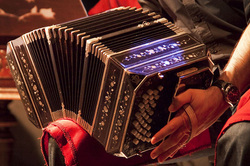 He has performed several of Astor Piazzolla's original works for bandoneon and orchestra (Concierto para Bandoneon, Doble Concierto para Bandoneon y Guitarra), and many highlights of the tango repertoire (including own arrangements) with various orchestras and ensembles - symphony orchestras, string orchestras, string quartets, etc. In The Netherlands he has also performed extensively with symphonic wind orchestras (harmonieorkesten). TRASNOCHE is Santiago Cimadevilla most recent project in collaboration with Ebred Reijnen, Elliot Muuses, Mark Wyman and Virgilio Monti. This new ensemble focuses on an original repertoire with all new arrangements and compositions. See a clipshow of this new ensemble here. 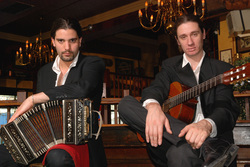 For many years Santiago Cimadevilla and Marcos Di Paolo have been playing together as a duo. 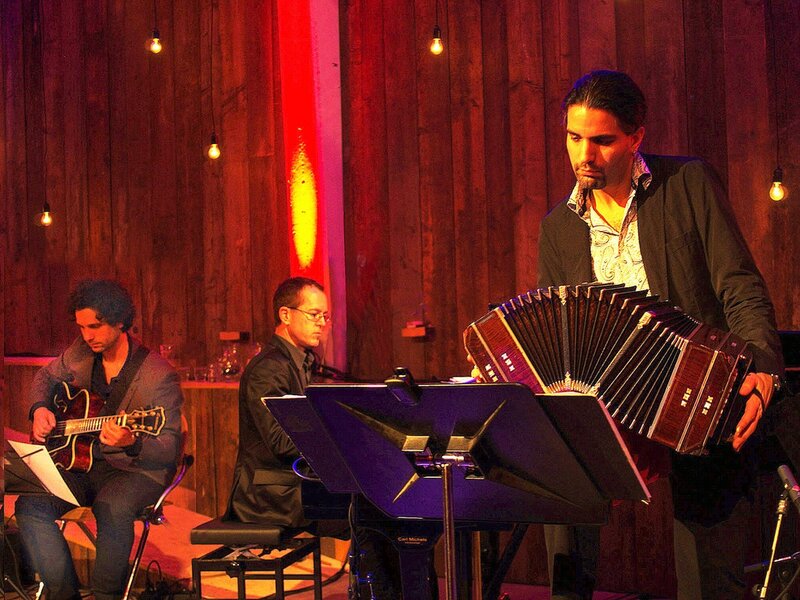 The classic combination of bandoneon and guitar creates the perfect framework for modern, chamber-like as well as improvised tango and Argentine folklore. 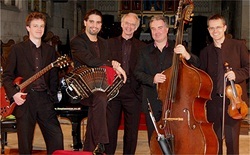 Tango 5 brings together some of the finest musicians in the north of England alongside internationally acclaimed bandoneon player Santiago Cimadevilla to play the music of Astor Piazzolla in the ensemble for which it was originally intended. Their collective experience of performing to the highest level and a passion for the music of Piazzolla creates a freshness and spontaneity to bring the music alive. 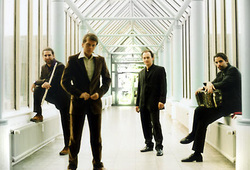 Based in Bremen, Germany, Cuarteto Flautango performs a wide selection of the Tango repertoire, including highlights of the orchestral repertoire of Troilo, Piazzolla and Salgan as well as modern arrangements and own compositions of pianist Gustavo Lanzon.